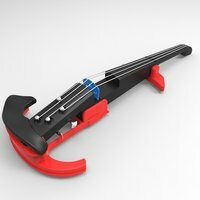 Summary I wanted to design a classical / modern style electric violin. 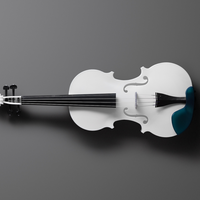 Something that pays homage to the curves of a Stradivarius while showcasing what you can do with crystal PLA on a 3D printer. I hope you like it. 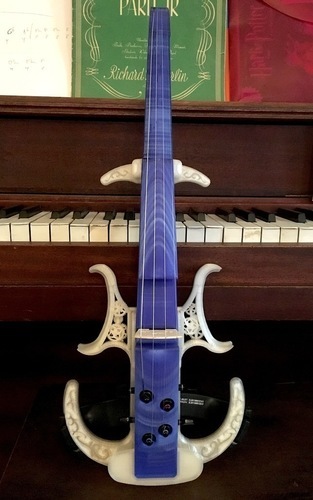 This design uses a standard violin bridge, allows for a standard shoulder rest and allows for a traditional style 3D printed chin rest (included and set up for screw on brackets). UPDATED (2017-3-16): While the original design from Stepan83 was really good, I wasn't completely satisfied with the wiring for the pickup, as the wire goes through where the threaded rod resides. 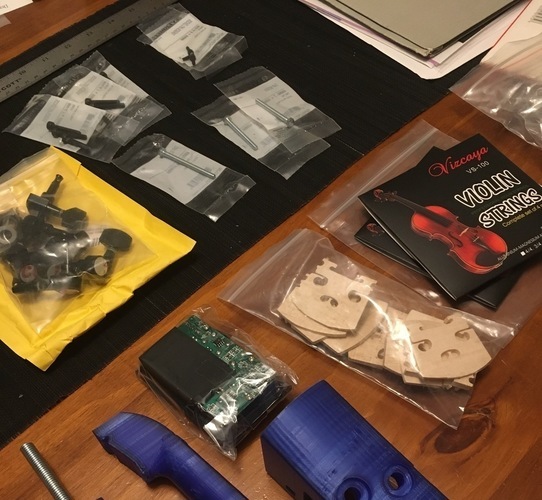 So I tweaked "violin_neck_part2.STL" and created "violin_neck_part2_better_pickup_wiring.STL" which provides a little space behind the pickup and allows the wire to go on either side of the threaded rod. Post-Printing In order to achieve the look I wanted and not have to paint the PLA, I had to be very careful not to sand or file any of the exposed areas, instead I used a small exacto knife to clean up edges. Printing I recommend printing one piece at a time. It's time consuming, but you'll want more control in the end. After a few attempts, only 3 pieces required supports in the end. The two violin waist pieces with the clockwork required a bit of finagling with printing supports and cleaning. 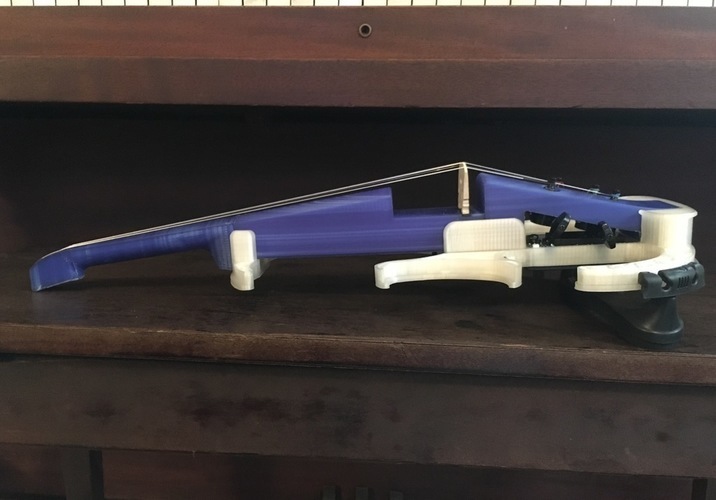 The bottom 2 parts of the neck had the coolest effect when printing flat, so I printed neck_part3 with supports (therefor the hidden under part where the tuning pegs screw in is not as smooth as the rest). The chin rest also of course requires supports to get that classic curve.